Running time: In a world where success means owning a company before your 30th birthday, Mike Iamele seemed to have it all. By the age of 24, he was already making piles of money at his own public relations firm. And it was killing him. Literally. When a stress-induced illness brought him to his knees, he began to question everything he believed about success. And everywhere he turned, he met other young entrepreneurs who were praying to the temples of money, status, and power--and making themselves stressed and sick. Mike decided he'd had enough. He was ready to find success on his own terms. Mike Iamele now has a thriving practice as a wellness coach, and in the pages of this book he'll help you figure out what a successful life looks like for you--and how to get it. Through a process not unlike the classic hero's journey, Mike will show you how to create the success of your dreams--whether it's your first million by 22 or just a happy life. 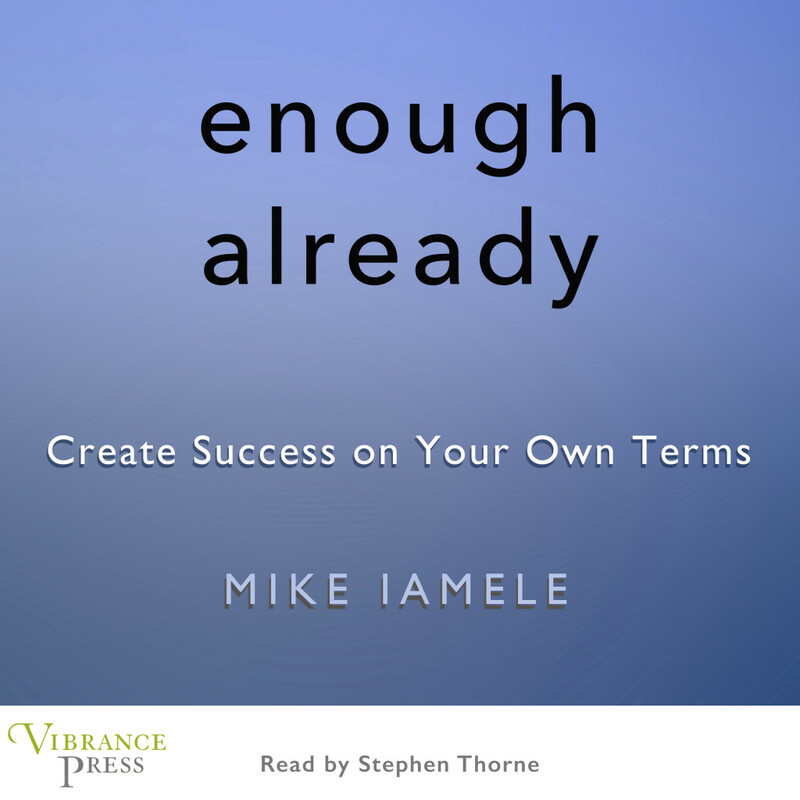 In Enough Already, Iamele challenges us to take back control of our lives and to chart our own successful path to happiness by considering: Have you had enough? Are you working yourself numb fulfilling someone else's idea of success? What would you stay up all night doing or talking about if you could? What if you could get paid for that? What if you could create a successful life around what you love? What if you could change the world? What's stopping you? In a world where success means owning a company before your 30th birthday, Mike Iamele seemed to have it all. By the age of 24, he was already making piles of money at his own public relations firm. And it was killing him. Literally. When a stress-induced illness brought him to his knees, he began to question everything he believed about success. And everywhere he turned, he met other young entrepreneurs who were praying to the temples of money, status, and power–and making themselves stressed and sick. Mike decided he’d had enough. He was ready to find success on his own terms. Mike Iamele now has a thriving practice as a wellness coach, and in the pages of this book he’ll help you figure out what a successful life looks like for you–and how to get it. Through a process not unlike the classic hero’s journey, Mike will show you how to create the success of your dreams–whether it’s your first million by 22 or just a happy life. In Enough Already, Iamele challenges us to take back control of our lives and to chart our own successful path to happiness by considering: Have you had enough? Are you working yourself numb fulfilling someone else’s idea of success? What would you stay up all night doing or talking about if you could? What if you could get paid for that? What if you could create a successful life around what you love? What if you could change the world? What’s stopping you?